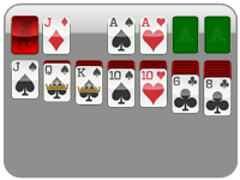 So, you're a solitaire pro in search for a challenge? Yukon Solitaire is a cross between Klondike and Spider Solitaire, and is feels as difficult as the both combined. 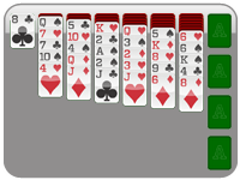 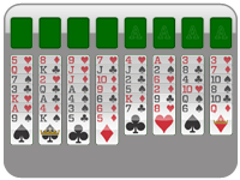 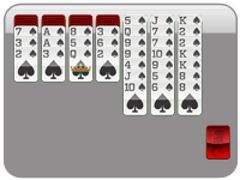 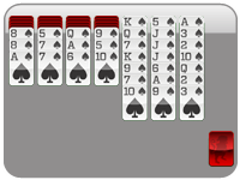 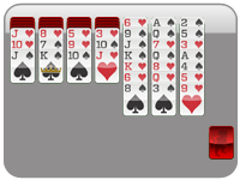 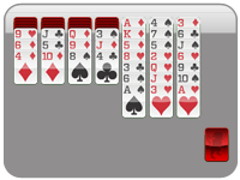 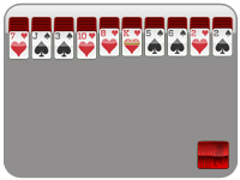 The Goal of Yukon Solitaire is to get all 52 cards into the four foundations on the right-hand side of the screen. 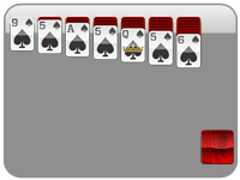 Just like regular solitaire, you can stacks cards in descending order and opposite color. 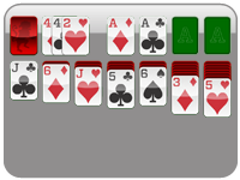 That is to say, any card (and all cards on top of it) can be dragged onto another card of opposite color and 1-greater value. 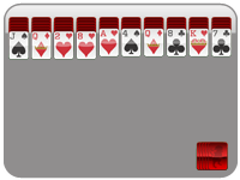 So what's the catch? You're going to want to flip the cards in the tableau as quickly as possible, because unlike Spider Solitaire, you may move around cards even if they are not in order! That's right, ANY visible card can be moved, so you best make as many visible, ASAP.